The Breinton Springs, close to the city of Hereford, is a popular destination for walkers and is part of a five mile circular route promoted by Herefordshire Council. The Spring itself lies below Breinton Camp, an earthwork enclosure which has yielded evidence for buildings apparently occupied by the Cathedral Treasurer during the medieval period. 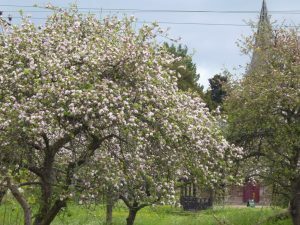 The little National Trust orchard, next to St Michael’s Church is believed to be the site of a deserted medieval village and there are layers of history to uncover . 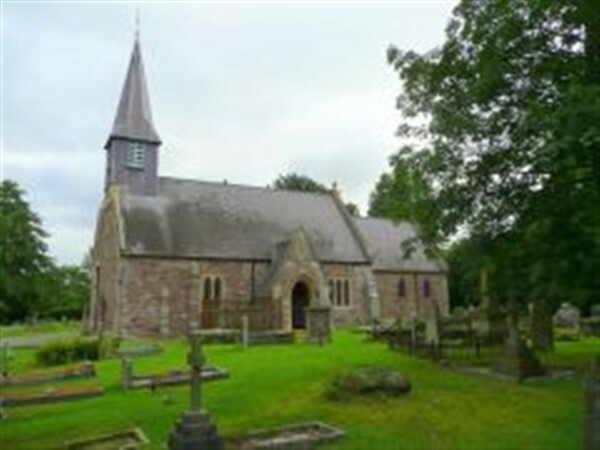 You can read about some of them here on the parish website. 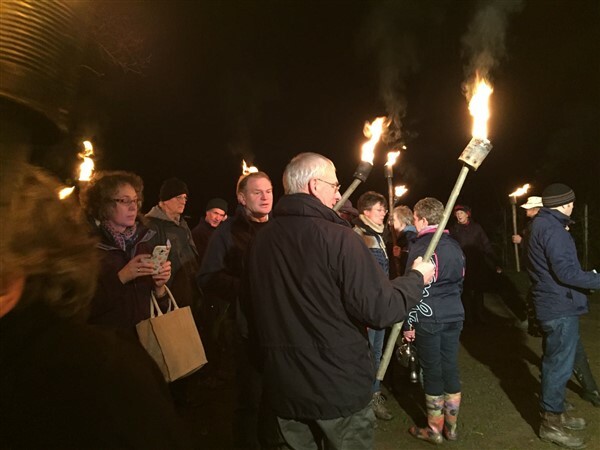 There are also several short walks which take you around the site and the neighbouring orchards and fields. A longer walk starts at the Breinton Springs car park, taking in many of the beautiful cider orchards around the village – this is real Bulmers country! Breinton Springs is a traditional orchard but many of the orchards here are modern bush orchards, with small trees closely planted together. The site has had some maintenance over the years but the orchard is in need of some remedial work. 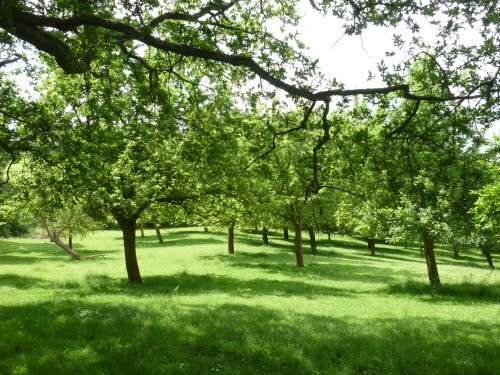 TCTOP has worked with the National Trust to produce a management plan which will guide the work of their volunteers and hopefully keep the orchard in good shape for the future.